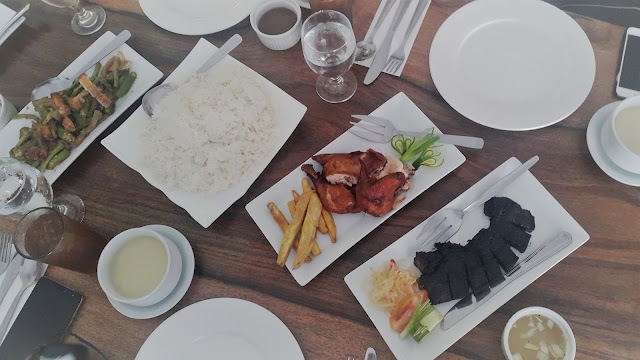 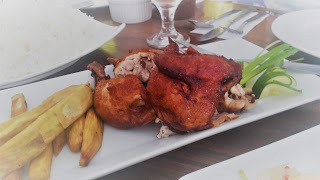 Satisfying my cravings for Filipino food: A review on the Selah Garden Hotel's menu! As I am always bad with names, I would just introduce you the food through giving a description of each. 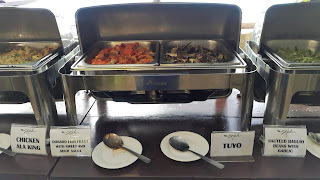 When you see this on your table, your first impression would be a burnt inihaw na liempo. 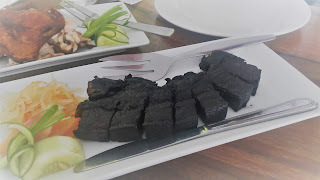 Yes, we got it all wrong, this grilled liempo is actually coated with black squid ink giving that exact favorite liempo taste but a little squid flavor after taste. 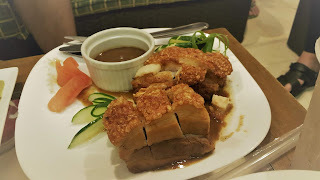 It is paired with atchara and some designed cucumber to balance the taste and the overwhelming calories of pork! 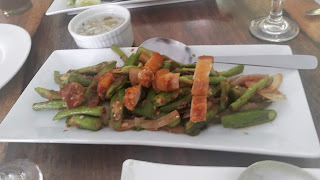 Roasted chicken with fried sweet potatoes and cucumber as garnish and stir fried (semi-Ilocano) type of pinakbet. 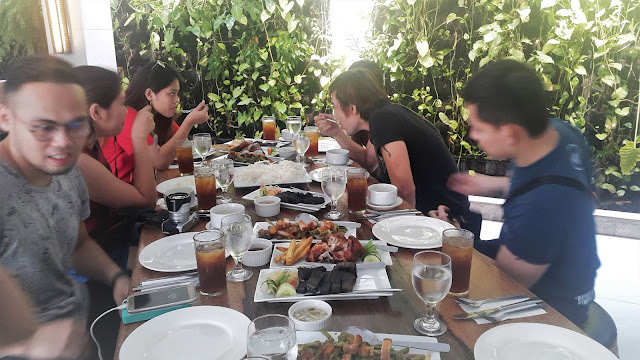 The DB Media PH had a feast on these Filipino favorites during our lunch! 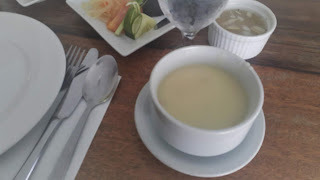 Aside from the main dishes, I enjoyed the atchara the most! 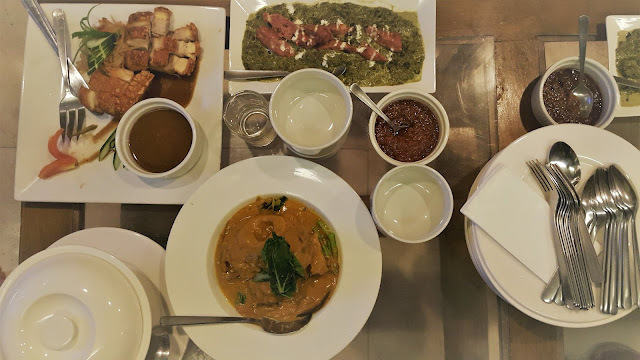 We had a dinner at their KTV room and their best tasting all time favorite Filipino food Kare-kare, lechong kawali, seafood chowder, laing with a twist (with chorizo on top) and brownies! 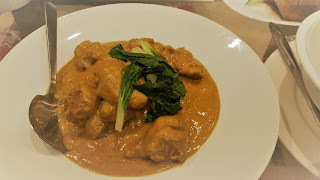 Kare-Kare and Lechong Kawali -- The kare kare is made up of pata and has a thick nutty sauce that you'll keep eating even though you are already full. 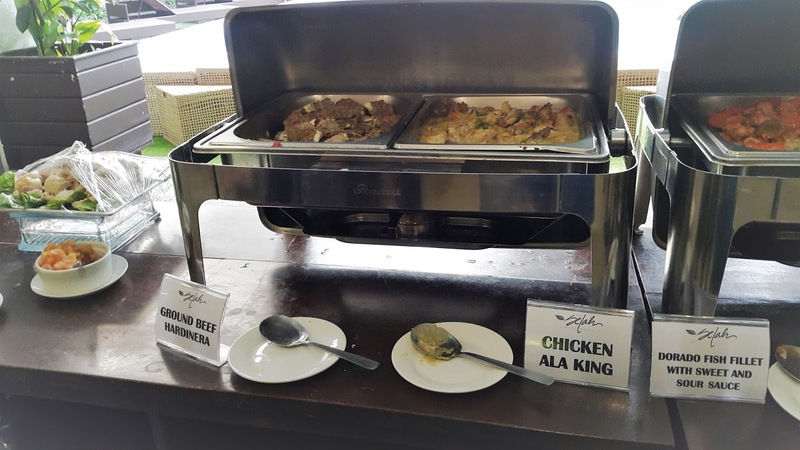 Additionally, the lechong kawali is cripy yet soft at the same time. 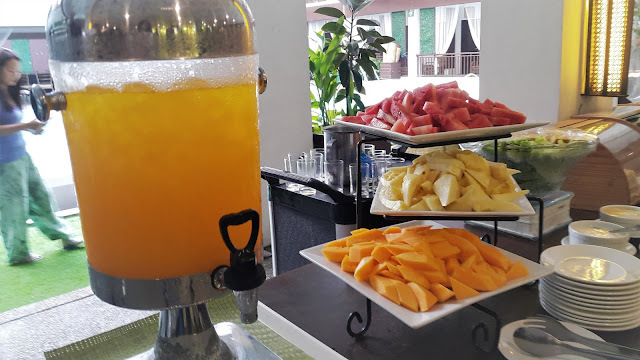 Morning buffet costs at 800+ but is free if you are checking in. 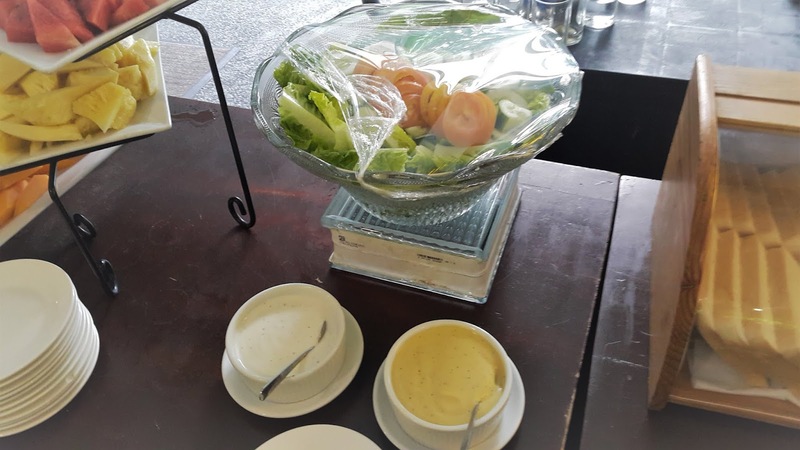 Some of the items served includes fresh vegetable salads and fruit cuts! 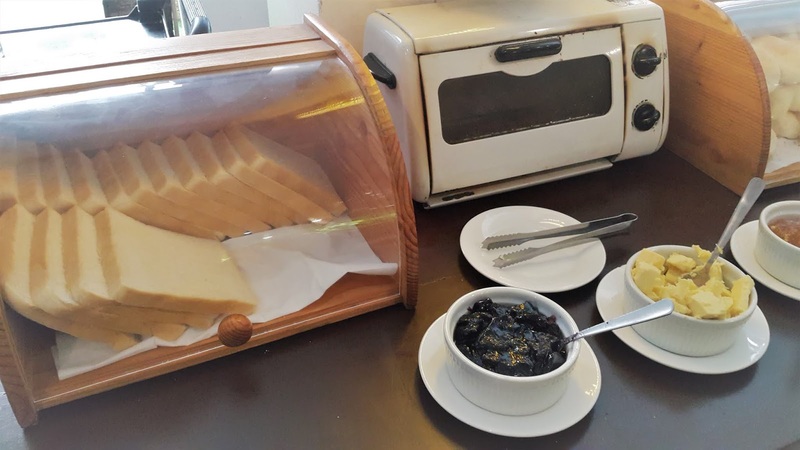 You can also toast some bread and put a little jam. 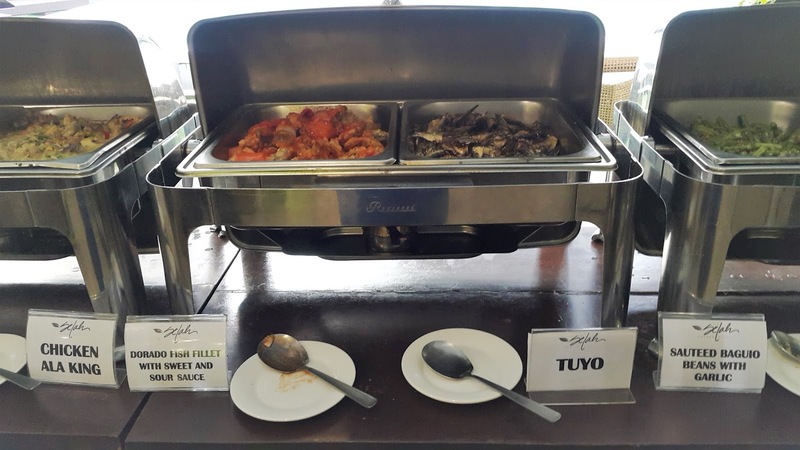 Here are some of the dishes at the buffet if you are still that rice morning person. There's chicken ala king, tuyo, pasta, embutido, fish fillet and veggies! 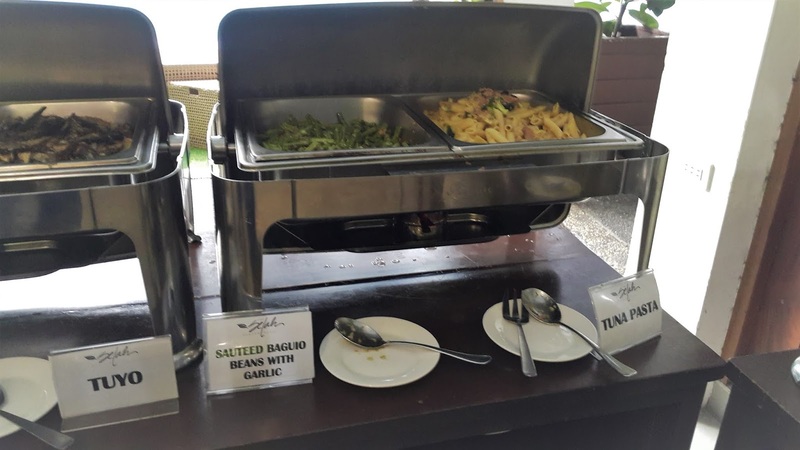 You may also have your own omelet cooked just as how you want it to be served. 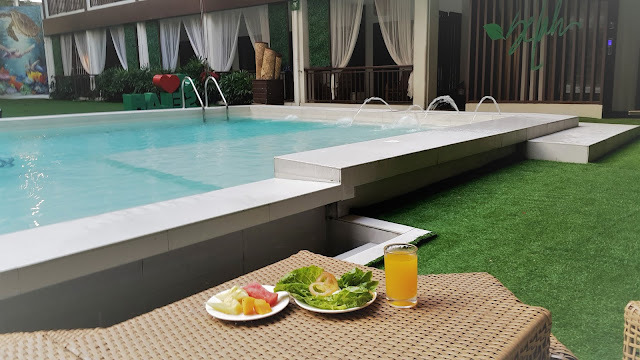 You can eat your breakfast right beside the pool for that refreshing feel! 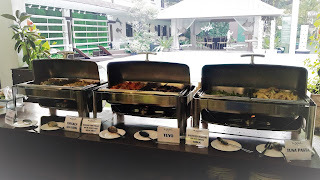 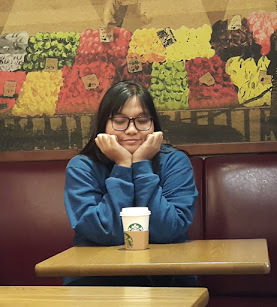 Even though it seems like a traditional buffet choice, the thing that makes it lit is that their recipe is good and the ambiance really made me feel like we are not in the metro! You may read my The Selah Garden Hotel blog too.